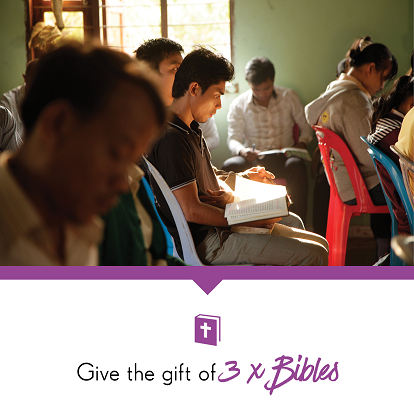 Provide Bibles to three people who don’t own a copy of God’s word. The gift of a Bible has long-term impact, not only on the person who receives it, but also for their church and community. 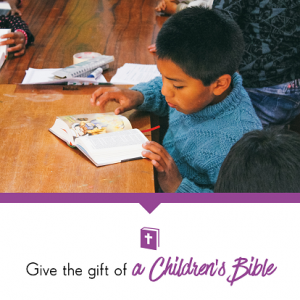 This year, bibles will be distributed to communties in Peru & Phillipines.